Our company, Excel hard tools Co.,Ltd is a leading supplier in super-hard material products, mainly including Polycrystalline Diamond Compact, Polycrystalline Diamond wire drawing die blanks, polycrystalline cubic boron nitride compact cutters, polycrystalline diamond compact cutters,etc. Our company is located in Yuanyang County,XinXiang City, Henan Province and we own many top technologists of super-hard material industry and strong technical force.Meanwhile, we have been in this line for many years and won good reputation at home and abroad for supreme quality, reasonable price and satisfactory after-sale service as well. 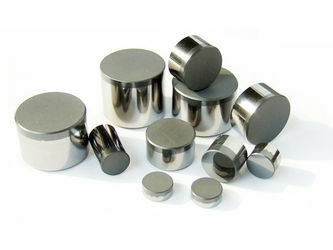 Excel Hard Tools Co., Ltd is a leading supplier in super-hard material products, mainly including Polycrystalline Diamond Compact (PDC), Polycrystalline Diamond wire drawing die blanks, polycrystalline cubic boron nitride compact cutters, polycrystalline diamond compact cutters, polycrystalline cubic boron nitride block cutters, thermal stable polycrystalline diamond boron nitride cutters, polycrystalline diamond cutter,etc.